In a large bowl, beat together the butter, sugar, brown sugar and vanilla until smooth and creamy. Add the eggs and continue to beat until well combined. Add the dry ingredients and continue to beat until the dough is mixed. 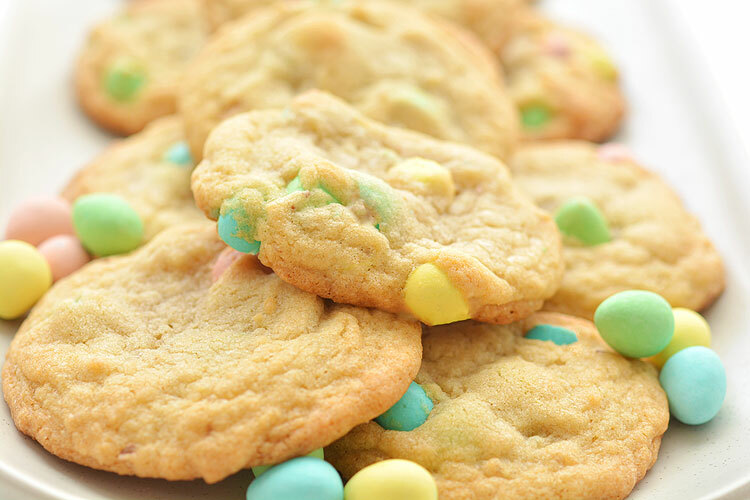 Add the mini eggs to the dough and gently stir until they're mixed into the dough. Drop spoonfuls of the dough onto a parchment lined baking sheet. Bake at 375F for 10 to 12 minutes or until edges become golden.